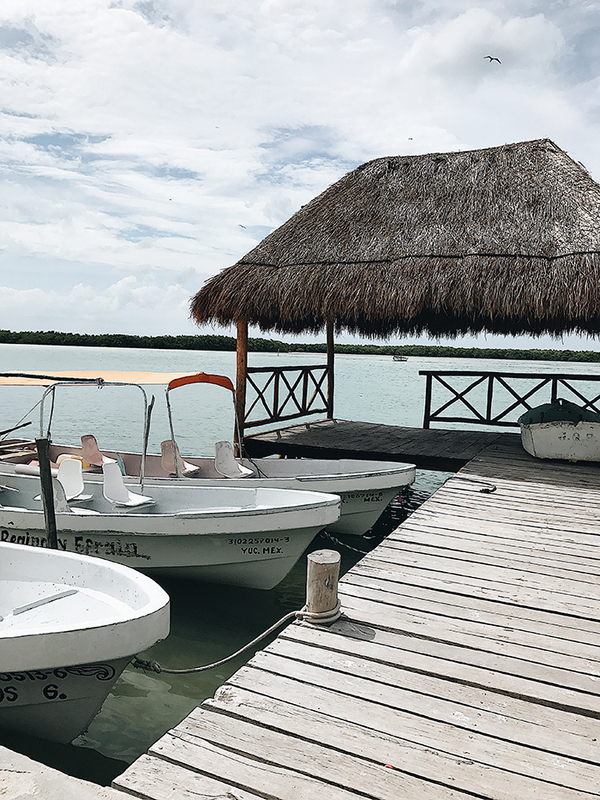 Recently Danny and I travelled back to the Mexican Caribbean to sign papers for a new property. It was needless to say a gorgeous and super exciting trip. 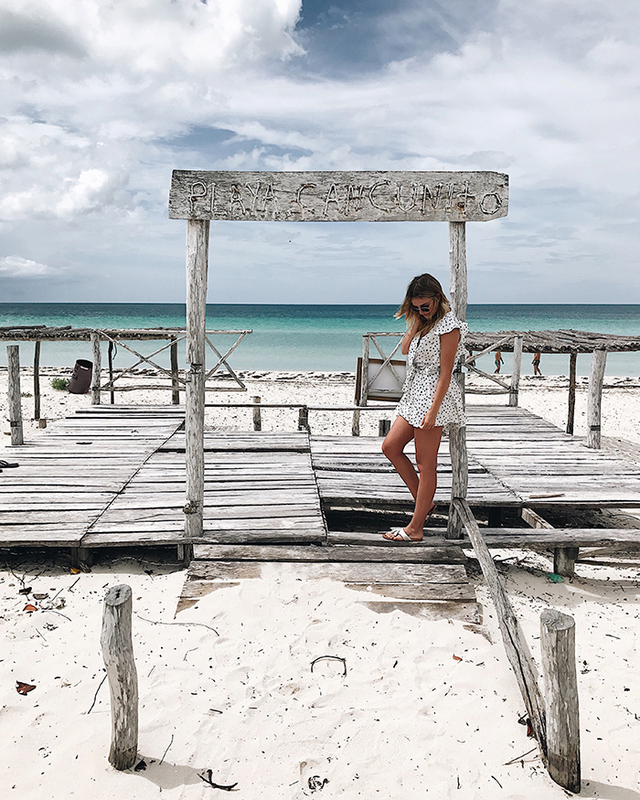 Since we have now had the opportunity to travel to the Yucatan a few times, I thought I would round up some of my favourite spots you need to check out while you're there. 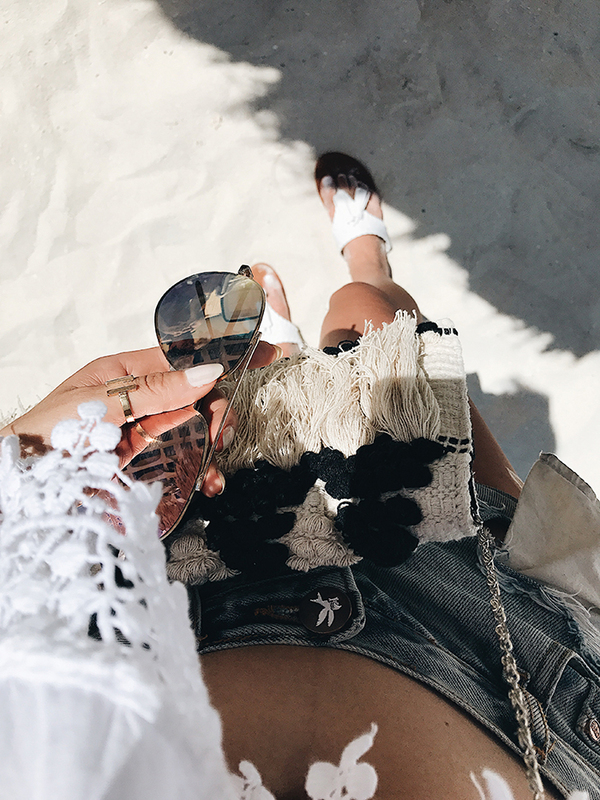 This time around, we ended up doing one night in Cancun and the rest in Playa Del Carmen. Honestly, if you've been to Cancun once, that's probably good enough. Cancun is just so huge you will end up having to take taxis everywhere and to be honest it has less of a genuine Mexican feel. I would definitely recommend staying close to la quinta in Playa Del Carmen - you're close to the action and the beach. 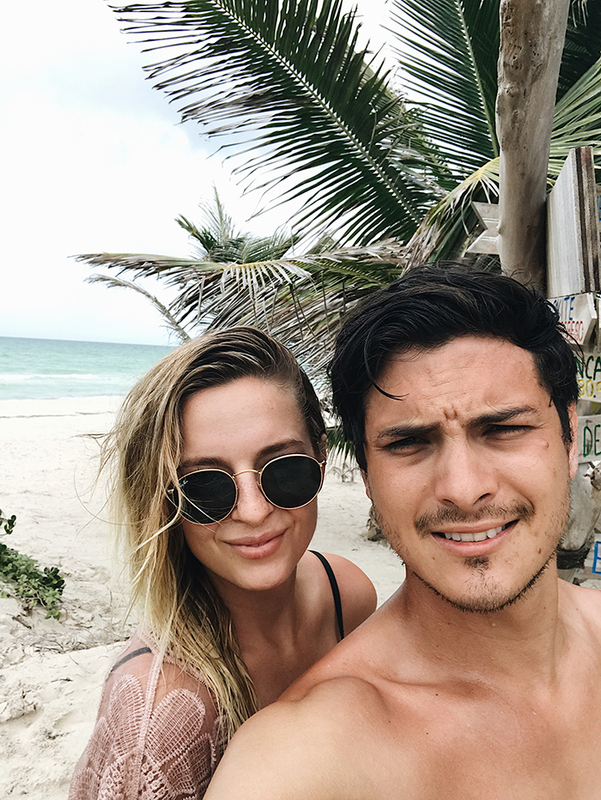 I would suggest to stay in Tulum but it can get super expensive, we find it best to stay in Playa and make day trips into Tulum. Also if you have the time, drive up to El Cuyo and stay a couple nights - adorable quaint beach town! 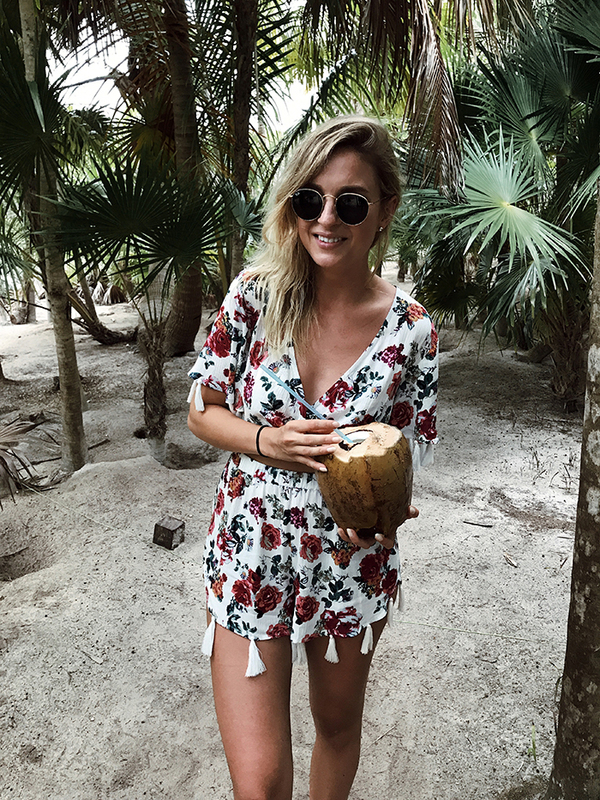 Of course Tulum is my number one - it has such a natural vibe yet every little hotel and restaurant has the most amazing decor and branding. 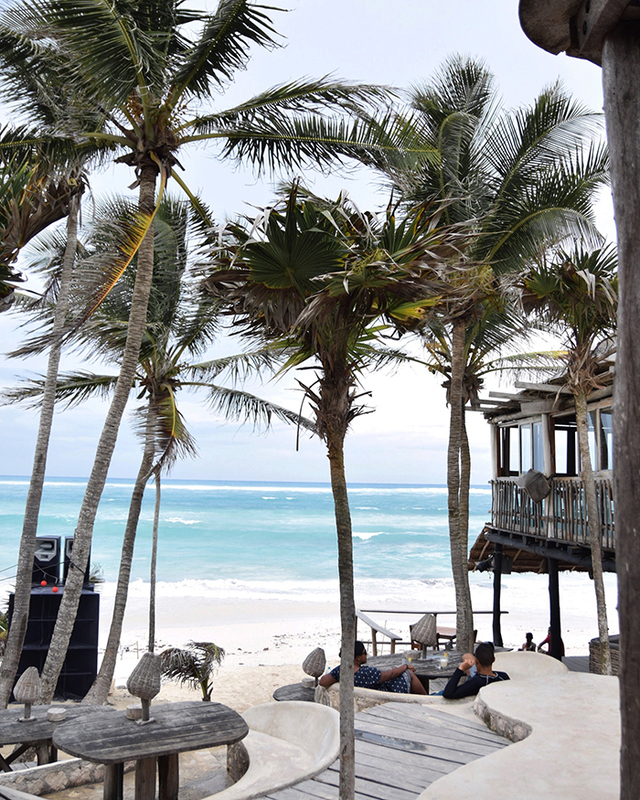 Anywhere you go in Tulum you are going to love! I would suggest to either stay there a few nights or make a day trip in. 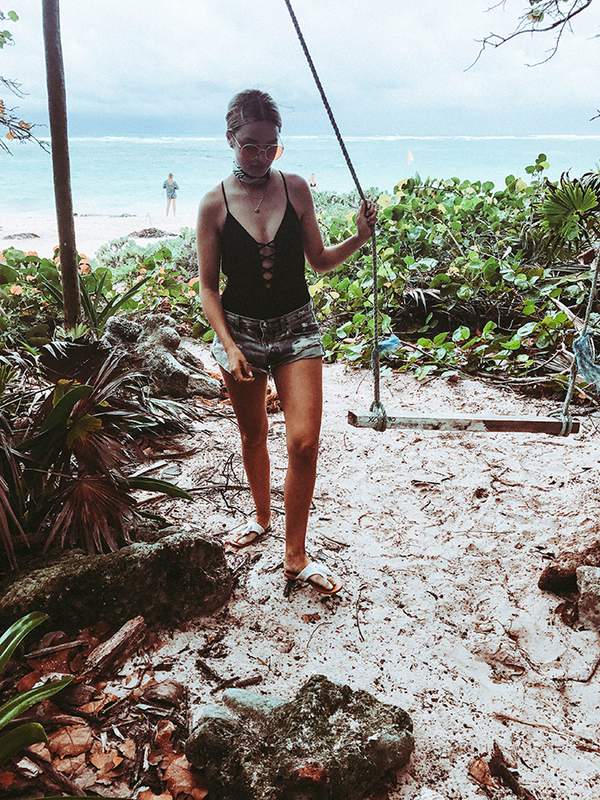 While we were in Tulum one of Danny's cousins brought us to a hidden centote - it was stunning. A gorgeous fresh water lake with fresh air and beautiful trees. Not many tourists know about it so it was just us and a few other locals. 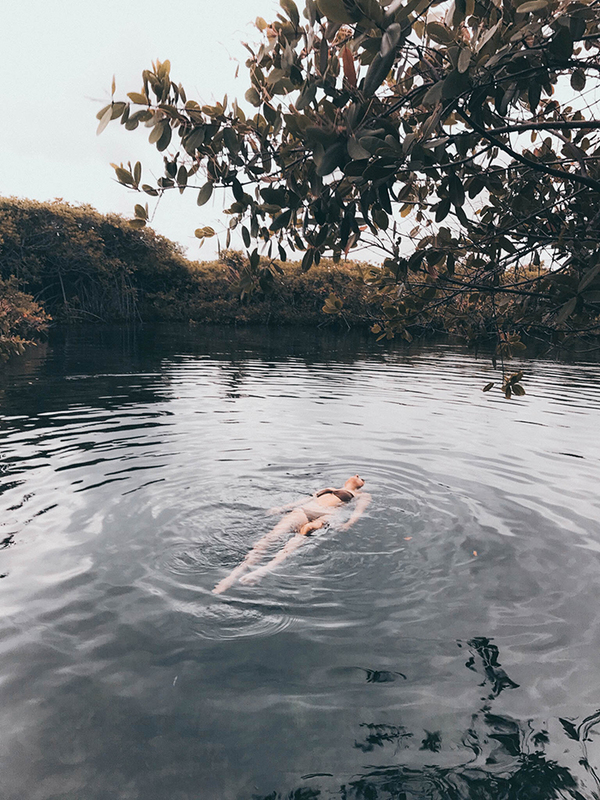 I don't know exactly where it was located but just visiting a cenote in general is such a gorgeous and refreshing experience. These bizarre little lakes are the most stunning shade of rose pink - hellooo pretty instagrams. I guess what happens is they are saturated with salt due to a local salt factory and there are algae and shrimp that thrive in the salty environment and cause the gorgeous rose colour. Unfortunately for us, we went during rainy season and thus the pretty pink lakes were brown - womp womp. But definitely when we come back in dry season we will be making another trip to try and capture the pretty pink. 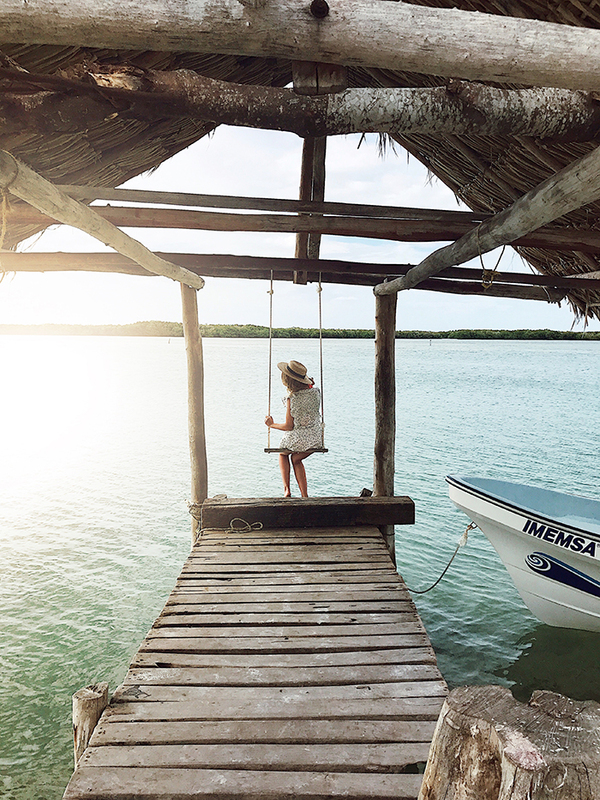 This is a super small little fishing town with delicious fresh seafood, also home to Las Coloradas, and go to the right spots and you can spy bright pink flamingos. El Cuyo is where we purchased property - it is the most adorable little beach town with amazing kite surfing and a beautiful beach. 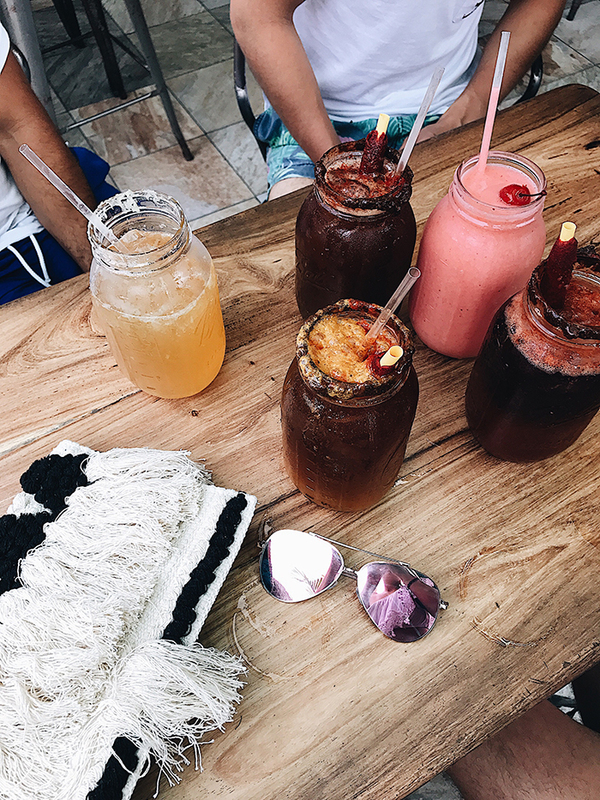 There is one restaurant where you can get a beer for just under $2, there is also the coolest treehouse-esc hotel with only two rooms, poolside swings, conch shell shower heads, and beach views - all for around $100 a night - Tulum vibes with El Cuyo prices. 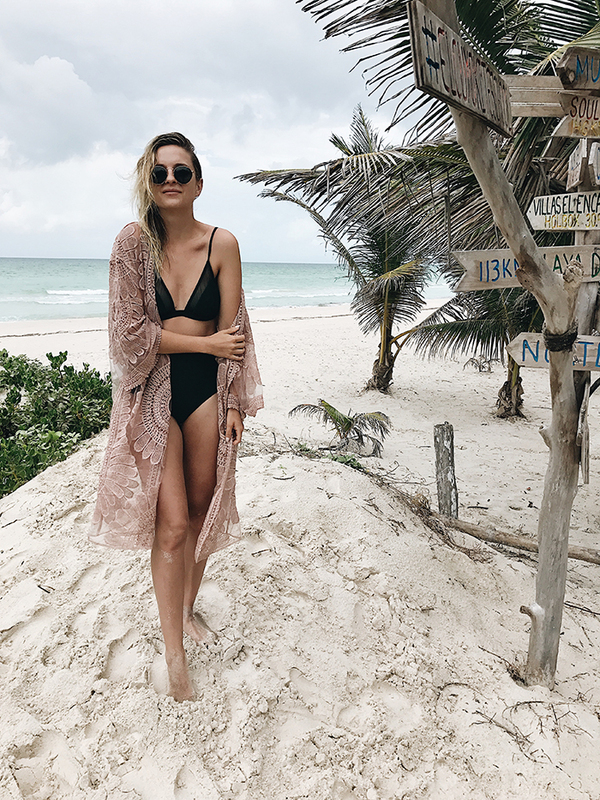 Located in Tulum, this is likely the most budget friendly restaurant you'll find and it was easily my favourite. Snack on delicious tacos and sip on yummy watermelon margaritas beachside with Euphemia herself - the restaurant owners adorable pup. This is our favourite spot in Playa Del Carmen - they have beach chairs if you prefer to lay on the beach but they also have an infinity pool and poolside beds if that's more your vibe. The minimum consumption is also only 200 pesos whereas many other beach clubs are more around the 2000 peso minimum. They have delicious tuna tostadas and ice cold cheladas. 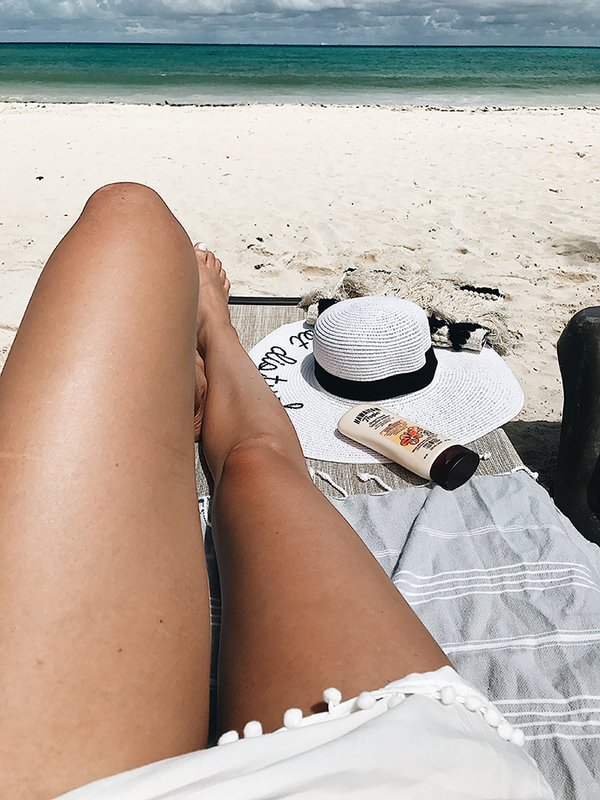 Pick a day to head there and lounge the day away. This is a cuban restaurant right in the heart of Playa Del Carmen on the famous quinta avenue. We never actually ate here, but I would highly recommend to stop in for a late night mojito and enjoy the live cuban music and dancing. Located just off la quinta, this Mexican restaurant specializes in authentic dishes and mezcal. They also make pulque which is a (very mildly) alcoholic drink made from the sap of the agave plant - interesting to try! Again just off la quinta, this seafood restaurant is absolutely delicious! I would highly recommend to go for dinner. They have amazing tuna tostadas and shrimp tacos.